This modern bulding offers a selection of offices of various size, open-plan office spaces and meeting rooms spread on several floors. Modernly decorated, these office spaces offer a highly professional working environment. 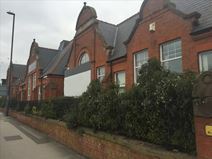 Conveniently located in the vicinity to Derby city centre, the building is surrounded by a variety of amenities and enjoys easy connection to the motorway junction. An attractive Victorian red brick exterior gives a great classic look to this three-storey building. The property provides a gravelled car park behind secure, automated gates, and a large visitor car park at the rear. Wireless broadband and telephone services can be provided as an optional extra if desired. The site is prominently located on a main aerial route linking with Derby city centre. There is easy road access from the A38, A52, A6 and M1. Situated on Ashbourne Road, this centre is just minutes away from Derby city centre. The space is housed within a lovely three-storey red brick building, and the office available consists of 535sqft - perfect for teams of up to 12 people. The office is divided into two rooms and has lots of natural light. Rates are inclusive of utilities and insurance. The centre is accessible 24 hours a day and is just a six-minute drive from Derby Midland station. This stunning centre is set in a Grade II listed late-Georgian period building. The space's interior contrasts well, boasting a high-end contemporary finish. Available units are composed of 603sqft and 503sqft - ideal for small-to-medium businesses. Both units offer views of Derby's Cathedral. 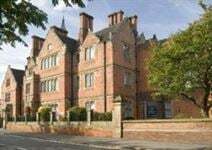 The centre is just a stone's throw from the city centre and is less than 20-minutes walk to Derby Midland station. With a city centre location this modern six-storey building has a unique giant LED screen cladding much of the business centre to provide dramatic first impressions. There are a variety of different sized offices on flexible terms available that suit small to large businesses. 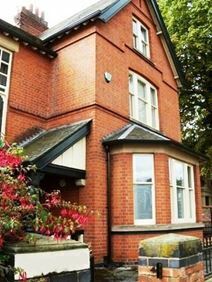 Situated in the heart of Derby's professional district, this centre provides stylish serviced offices in an historic and imposing property. A variety of packages are available to suit your business need, and there are good amenities on-site. Derby offers a range of attractions and amenities, including places to eat and drink, shops and hotels to suit every budget. The city is well connected with Derby Railway Station, motorways and bus services all available. At a superb location in the centre of Derby, this business centre offers furnished semi-serviced offices with good proximity to shops and amenities. The prestigious building features 24/7 access, security alarm, reception services and onsite car parking. The reception is manned full time and all services are fully included except for business rates and telephone lines. Located for easy access, this centre is convenient to reach by car or public transport alike. 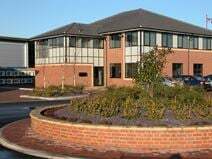 Situated within Derby city centre, close to excellent facilities nearby, this is a three-storey office complex with on-site parking. This is a secure and comfortable business environment, with a host of amenities available. 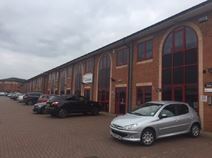 Recently refurbished office space consisting of a self-contained unit of 800 sq. ft. in the desirable Pride Park area of Derby. The town centre is a 15-minute walk away while transport links are good. This refurbished centre allows a bespoke fit out for companies to forge their own identity and design. With a wealth of amenities - such as 24 hour access, administrative support, WiFi and breakout space - this is an exciting proposition for those looking for office space in and around Derby's city centre. Indeed, the city centre is less than a 10-minute walk, meaning all that Derby has to offer is effectively on your doorstep. Comprising the ground floor of a three-storey mixed-use building this space can be separated for office, leisure and retail use, subject to suitable planning permission. Located on Osmaston Road within close proximity to the Intu Derby. The centre is set in the Derbyshire Dales, around a five minute drive from the mart town of Ashbourne. Tenants will spend their working day in a magnificent period building dating back to the 19th century, which has recently undergone an impressive refurbishment. The centre consists of 32 office, ranging in size. Amenities include onsite parking, boardroom facilities and a great onsite management team. 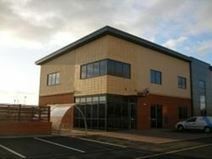 Located in a popular business park with excellent connections to the rest of the East Midlands, this centre provides a fully self-contained office with WC and kitchenette. This is open plan space which can be adapted to suit your needs. 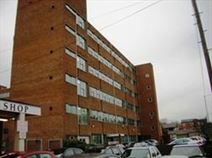 A variety of office sizes are available at this prestigious business centre in Derby town centre. The Grade II listed building has easy access to roads and local amenities, plus ample parking is available nearby. The business centre includes a friendly, fully staffed reception which provides secretarial support to clients. Located in the prestigious Pride Park in Derby, there are excellent road links to the City Centre, with access to the A52 and the M1, in addition to the on-site parking available. Derby Railway Station is less than a mile from the centre and local bus routes also pass close by. Facilities wise, there is a reception area with postal facilities and administrative support, as well as conference facilities, meeting rooms and access to a kitchen. Ten minutes’ walk from Derby city centre, this period building is newly equipped with the latest technological facilities. The serviced offices come furnished and with network cabling, broadband and phone lines with digital handsets. Parking facilities, meeting rooms and manned reception are included onsite, plus a building manager and maintenance team. Access to the major road network and rail services is quick and convenient from this great location. This space is around two miles away from Derby city centre, which has a range of attractions including excellent shops, great bars and restaurants, places to relax including luxury hotels and museums and music venues. The home of Derby Football Club, Pride Park is easily accessed from here. There is 24-hour access, as well as conference facilities, kitchen access, meeting room availability and IT support. This centre is based just outside of Derby city centre, and gives tenants a workspace with stunning views of the Derbyshire countryside. The centre's interior matches the exterior beauty, with a clean, fresh and modern design throughout the space. Each floor benefits from luxury kitchen facilities, as well as dedicated high speed broadband, meeting rooms and training rooms. Derby city centre is around a 20-minute drive. 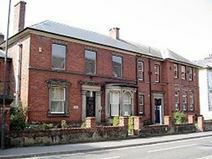 A short walk from Pride Park in Derby, this traditional business centre offers 15 beautifully appointed offices. The centre also offers a support network of staff to help in everyday running of your business. A helpful and experienced team will help ensure the smooth running of the facilities, and a receptionist is there to transfer calls and welcome visitors. Complete with fully staffed reception and secretarial support, this business centre provides 24/7 access to offices of a variety of sizes. The staff are friendly and give a friendly atmosphere to this prestigious period building. The building, located in Derby town centre, is accessible from main roads, with plenty of parking spaces nearby. Local amenities and transport links are in abundance in this ideal location. In Derby town centre, this grade II listed building provides a range of small to medium offices in an area with excellent local amenities and facilities. The building has good access to main roads and benefits from ample parking nearby. Inside the centre, there is a fully staffed reception providing secretarial support and promoting a friendly atmosphere. Offices are accessible 24/7 and car parking is provided.